Commander Tomy rescue operation HIGHLIGHTS: Golden Globe Race Commander Abhilash Tomy was rescued by French vessel Osiris on Monday. Commander Tomy’s rescue operation LIVE: Abhilash Tomy, who is serving as Indian Naval Officer, is in the south Indian Ocean, approximately 1900 nautical miles from Perth, Australia. Golden Globe Race Commander Abhilash Tomy, who was traced by an Indian Navy Reconnaissance aircraft, was rescued by French vessel Osiris on Monday, the Indian Navy announced. Tomy will now be picked up by Australian Naval ship HMAS Ballarat, which has left Perth to rescue him. INS Satpura will arrive at Tomy’s current location by Friday, the Navy added. Tomy was dismasted and had suffered a back injury in extremely rough weather and sea condition, with wind speeds clocking at 130 kmph and waves rising 10 metre high, off Perth on Friday. The 39-year-old Indian Golden Globe Race skipper, who is serving as Indian Naval Officer, is in the southern Indian Ocean, approximately 1,900 nautical miles from Perth, Australia. President Ram Nath Kovind not only expressed relief on the rescue operation of Abhilash Tomy but also, appreciated Australian and French efforts in the operation. He also wished the Commander speedy recovery. Gregor McGuckin, who was closing in on Tomy, also asked for a 'CONTROLED EVACUATION' of himself. He was NOT in distress but felt it was the responsible option to take now that all rescue assets are close at hand. Golden Globe Race Commander Abhilash Tomy has been rescued in a conscious state and shifted to French fishing vessel Osiris. Tomy’s ‘Thuriya’ is a replica of 1968 winner Robin Knox-Johnston’s 32-foot wooden sailboat. The only boats allowed in the competition are of traditional construction, with no modern, faster designs. Commander Tomy’s boat Thuriya was dismasted in extremely rough weather and sea conditions, amidst wind speeds of 130 kmph and 10-metre-high waves. The Kirti Chakra awardee was in the third position in the race with 11 international participants, having sailed over 10,500 nautical miles in the last 84 days, since setting off from Les Sables-d’Olonne in France. The GGR is being organised to celebrate 50 years since the 1968-69 Sunday Times Golden Globe Race, to complete an unassisted, solo, non-stop circumnavigation of the world via the Great Capes. A key feature of the race is that circumnavigation is being attempted under the same conditions as the original 1968 around-the-world-yacht race. On March 31, 2013, Tomy had become the first Indian to complete a solo non-stop circumnavigation of the world by boat, an around-the-world trip that began on November 1, 2012. The commander’s friends have been in touch with another participant, Gregor McGuckin, an Ireland national whose yacht Biscay 36 Hanley Energy Endurance was also dismasted in the same storm. He is expected to reach Tomy in the next 10 hours, sources said Sunday evening. The Indian Navy had dispatched the Indian Naval stealth frigate INS Satpura with Chetak helicopter and tanker INS Jyoti along with P-8i following the alert. The earliest that INS Satpura can arrive at the location would be Friday, the Navy spokesperson said. The P-8i aircraft, which was launched from Port Louis in Mauritius, landed back after nine hours on Sunday having established visual contact with Thuriya, said a defence spokesperson. “Commander Tomy responded by ping on EPIRB (Emergency Position Indicating Radio Beacon) as the aircraft was flying over him,” the spokesperson said. Commander Abhilash Tomy sent distress messages from his vessel following the injury. 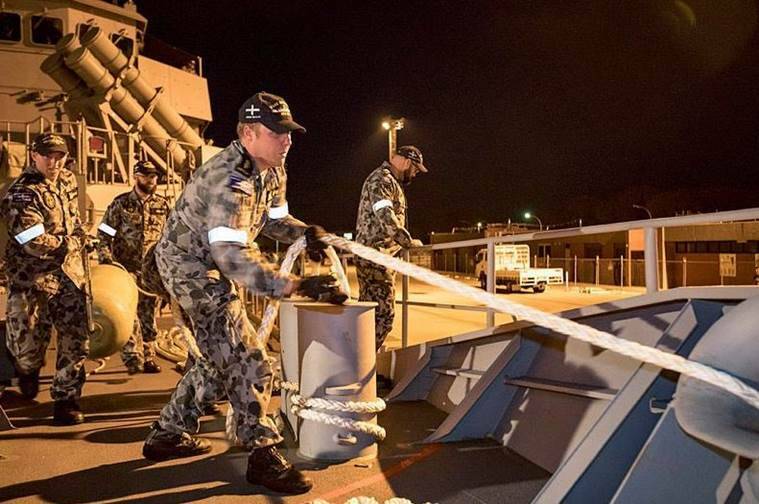 The Australian Defence Force also joined the mission to rescue him. Tomy sent his first satellite text message on Saturday, saying, “ACTIVATED EPIRB. CANT WALK. MIGHT NEED STRETCHER”, GGR organisers said in a statement. A subsequent message read: “CAN MOVE TOES. FEEL NUMB. CAN’T EAT OR DRINK. TOUGH 2 REACH GRAB BAG”. Tomy is the only Indian in the GGR, that involves a gruelling 30,000-miles solo circumnavigation of the globe in a yacht with no modern technology except communication equipment. Originally from Alappuzha, Tommy grew up in Naval bases around the country, since his father was in the Naval police. The Kirti Chakra awardee was in the third position in the race with 11 international participants, having sailed over 10,500 nautical miles in the last 84 days, since setting off from Les Sables-d’Olonne in France. Continuous watch over the boat is being maintained by Indian Navy and RAAF (Royal Australian Air Force) aircraft till rescue is completed, the Indian navy said in a statement. 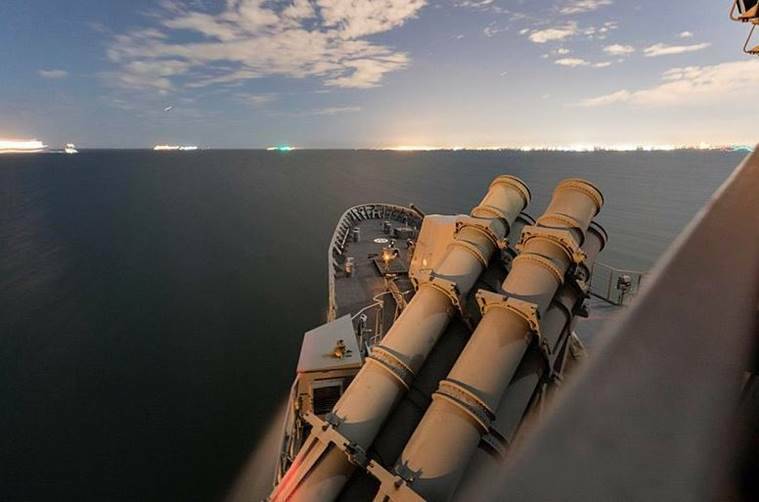 Earlier in the day, the Indian Navy spokesperson had said that HMAS Ballarat is already on the way and that the situation is being closely monitored from the Naval headquarters in New Delhi and joint Rescue Coordination Centre in Melbourne. A P8i aircraft dispatched by the Navy from Port Luis Mauritius managed to establish visual contact with Tomy’s ‘Thuriya’, an indigenously built sailing vessel. Thuriya’s mast was broken and was seen hanging on the side, the spokesperson added. “The capability of our P8i has been a humongous force multiplier who has given us and the Australian Maritime Rescue Coordination Centre (MRCC) a huge input into the state of Thuriya for planning purposes. Indian Naval Defence Attache’ in Australia is camping in regional MRCC,” the Navy said.